If you find yourself always sending messages to the same people over and over, you'll really like our Contact Lists feature. Contact Lists allow you to send a message to multiple recipients by typing just the contact list name. 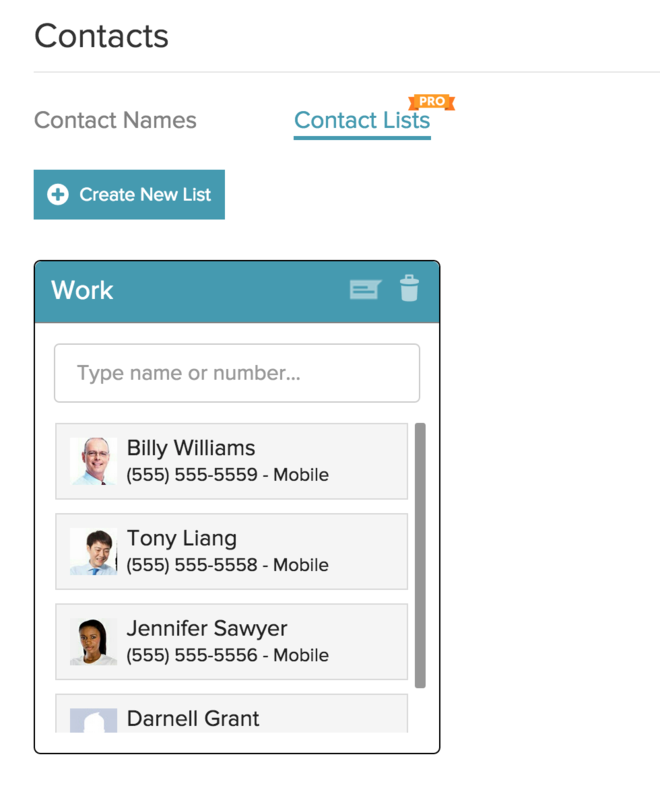 To create a Contact List, just navigate to Contacts > Contact Lists in the MightyText Web App or Settings > Contact Lists in the MightyText Tablet app. On the Contact Lists page, you will see a button to create a new list. You can edit the List name, add contacts, remove contacts, and send a new message to all participants in your list. You can add both phone numbers and contact names to a Contact List.